NintendoSoup, one of the world's fastest growing independent Nintendo websites in the English speaking world, is announcing its entry into the Chinese market. NintendoSoup Group has established a new website called 任天汤 (Ren Tian Tang). 任天汤 stands for NintendoSoup in Chinese. 任天汤 is a word play on Nintendo's official Chinese name 任天堂, as both 汤 (soup) and 堂 (hall) sound similar in Chinese. 任天汤 can be visited via rtsoup.com. "rt" is an abbreviation of 任天 in Chinese. The website supports both Simplified Chinese and Traditional Chinese. Both NintendoSoup and 任天汤 will operate independently of each other under NintendoSoup Group. The sites will share and exchange content from time to time, including but not limited to news, reviews, and hands-on impressions. 任天汤 will be led by Editor-in-Chief Huang Qi, a Chinese national who grew up playing iQue Game Boy Advance. Huang Qi is a huge Nintendo fan and enjoys playing Pokemon games as well as The Legend of Zelda: Breath of the Wild. He will oversee the site's day-to-day operations, from news reporting to writing strategy guides. "Although Nintendo has not announced any concrete plans in entering mainland China, many Chinese people are embracing Nintendo Switch and have been fascinated by the great games Nintendo has to offer," said Iggy, CEO of NintendoSoup Group. "The Nintendo brand is also growing strongly in places such as Hong Kong and Taiwan. We feel it's time to provide Chinese Nintendo fans a place they can call home on the Internet." 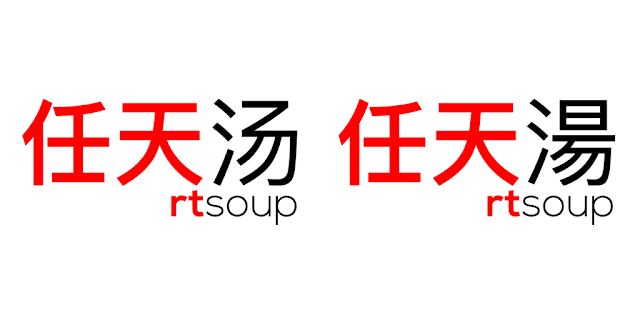 "I'm honored to take up the role as Editor-in-Chief of 任天汤/rtsoup. From now on, I will work hard to provide timely Nintendo news coverage, game guides, and features for everyone," said Huang Qi, Editor-in-Chief of 任天汤.